The leather furniture’s are an excellent choice to decorate the home and add a twist. You will be able to choose sofas, armchairs, chairs and tables of genuine leather. But we warn you that these objects need a range of care to keep them as new and to be preserved almost the same as at the time of purchase. Leather furniture add elegance and style to a stately home in addition to your care, you must place them in a place where no sunlight directly, where there are no heat sources such as a stove or radiator. If this happens, leather will age and crack, and may even fade. Caring for such furniture should be daily, not something specific. So every day you can clean the dust with a microfiber cloth and you can also use the vacuum cleaner and also cleanse under the cushions. Another effective measure is that occasionally can apply products to keep the leather in good condition, as is natural skin, you need regular hydration. So it is necessary for you to buy a specific product for leather furniture, the type of presentation may be cream or oil, and follows the manufacturer’s instructions. 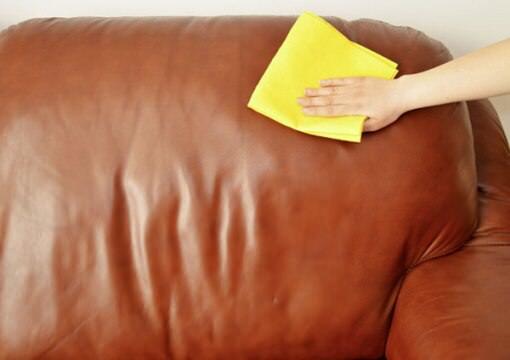 Never to use soap and water to clean leather furniture, or any other cleaning products containing harsh chemicals as this can be very aggressive for the skin and can damage furniture. In the case of spilling any liquid, it is necessary to clean the affected area with a dry cloth so it doesn’t form a stain that causes damage.